QD Bushings use required bushing for desired shaft size. In some cases use the same bushing for pulleys that require the same bushing for added flexability of speed and ratio changes. 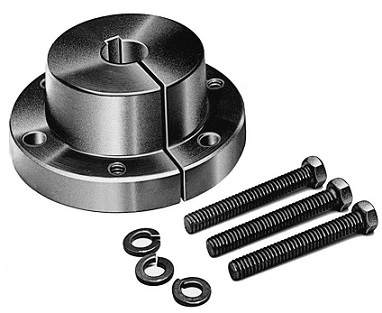 Easy installation using 3 bolts provided with each bushing and for quick disconnect the bushings have 2 reverse thread tapped holes for easy removal.